The pressure's off. Now your employees and customers can choose almost anything that Apple offers in its huge collection of Mac and iPod products at any Apple Store in the United States - online, by phone, and at an Apple Store near you. Just give an Apple Gift Card and the recipient can choose from qualifying products. Note: Apple Gift Cards cannot be redeemed at the iTunes Music Store. Purchase an iTunes Music Card instead. Apple reserves the right to change at any time the products you can purchase with gift cards and to limit the use of gift cards in its discretion. See the Gift Card Terms and Conditions, below. National Gift Card is the best place for you to order Apple gift cards in bulk. We are the experts in all things gift cards and can set up your gift card solutions program for you today. Please contact us for more information on bulk, direct-to-recipient, or individual gift card fulfillment for your gift card program. Contact us here or call us at 888-991-7144 today! 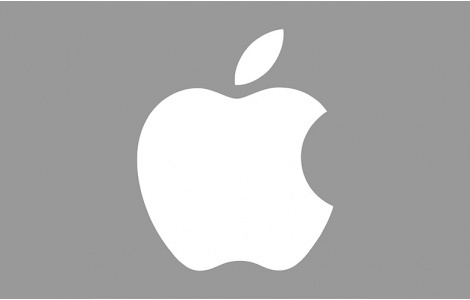 Apple Gift Cards are issued and managed by Apple Value Services, LLC and can be applied only to purchases from an Apple Retail Store, the Apple Online Store, or Apple Telesales (800-MY-APPLE) in the United States. Apple Gift Cards may not be redeemed at the iTunes Store, through any Apple resellers or any AT&T retail or online stores at any Apple Online Store, Apple Telesales, or Apple Retail Store outside the United States. Apple Gift Cards are not redeemable for cash (except as required by law); cannot be applied as payment to any account; and cannot be used to purchase additional Apple Gift Cards, mobile phone contracts, or service plans; and cannot be used for purchases for shipment outside the United States or for any other products or services as determined by Apple and Issuer in their sole discretion. Apple Sales and Refund Policy governs all purchases made with an Apple Gift Card. Neither Issuer nor Apple is responsible for any loss or damage resulting from lost or stolen gift cards or use without your permission. For your card balance or claims, call Issuer at 888-320-3301. For additional Apple Gift Card information and to see exclusions and limitations, visit www.apple.com/legal/sales_policies/retail_us.html and www.apple.com/iphone/gift. Not for resale. Void where prohibited or restricted by law. Use of this Apple Gift Card is governed by the laws of the State of Virginia. Receipt of an Apple Gift Card does not guarantee purchase of any item. Apple Gift Card terms and conditions are subject to change without notice. TM and © 2016 Apple Inc. All rights reserved. PLEASE NOTE: All plastic gift card sales are final and cannot be blocked, replaced, devalued, or refunded. Please treat these cards as cash.